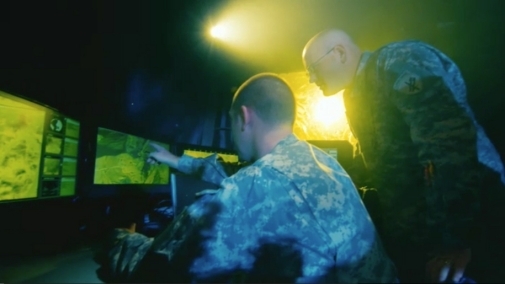 "As a geospatial engineer, Army and ..."
Geospatial engineers are responsible for using geographic data that supports military/civilian operations for Disaster Relief and Homeland Security. They collect, analyze and distribute geospatial information to represent the terrain and its possible effects. Job training for a geospatial engineer requires 10 weeks of Basic Combat Training and 20 weeks of Advanced Individual Training. Part of this time is spent in the classroom and part in the field with on-the-job instructions, including on-the-job instruction for geographic information systems. The skills you learn will help prepare you for a career as an engineer with the government or in the private sector. The geospatial intelligence imagery analyst is responsible for analyzing overhead and aerial imagery developed by photographic and electronic means. They provide Army personnel with critical information about enemy forces, potential battle areas and combat operations support.